Sunny Aviation, located in Denver (USA), has purchased an H135 FTD Level 5 simulator from entrol, a Spanish simulator manufacturer. AFSBI reviewed the H135 during a visit to the factory near Madrid, Spain in November 2018. See our post. 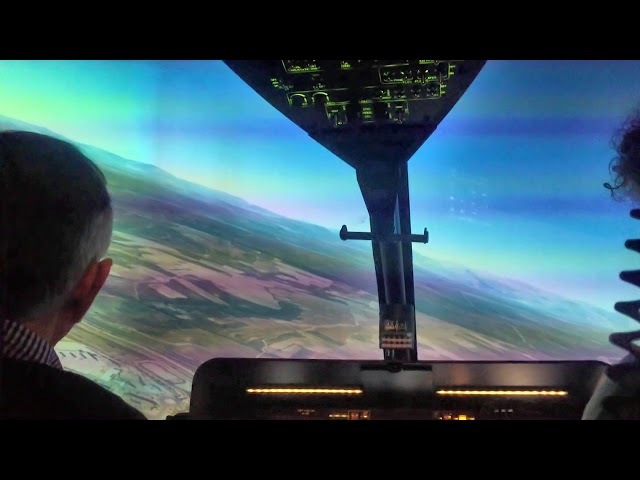 Here is a video of the demo flight based on the excellent visuals provided by the projection system which allows the crew to see the ground under their feet, a feature critical in all training scenarios. The simulator will be equipped with dual GTN 750, spherical visual with 6-channel projection system, high-resolution database and vibration system. An explanation of the significance of the vibration system was given to us during the visit at entrol. The vibration adds an additional layer of realism to this already advanced simulator. Entrol has developed a very realistic motion and vibration system for its helicopters simulators. The FTD will be used for Ab Initio training, IR and CPL courses and mission training for H135 operators. It will be certified as FTD Level 5. “This means both students and commercial pilots will have the ability to practice different scenarios while simultaneously talking to simulated ATC controllers and Emergency Medical Personnel.” David Sungelo concludes.